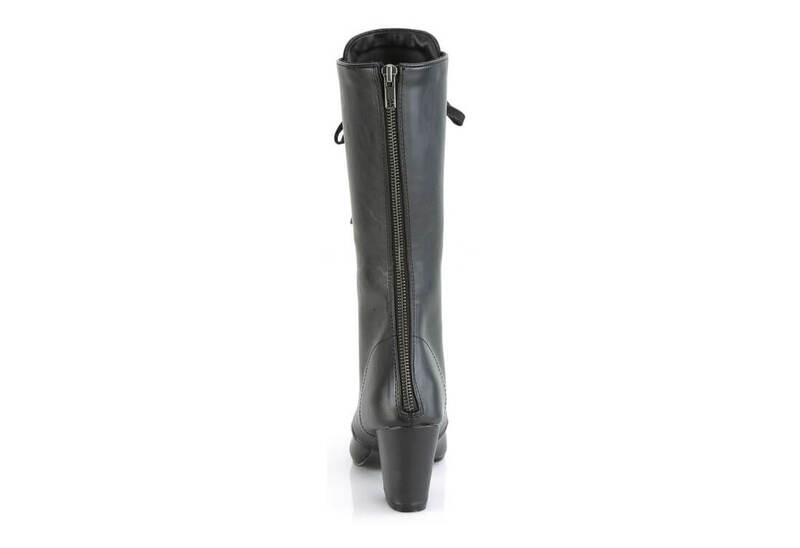 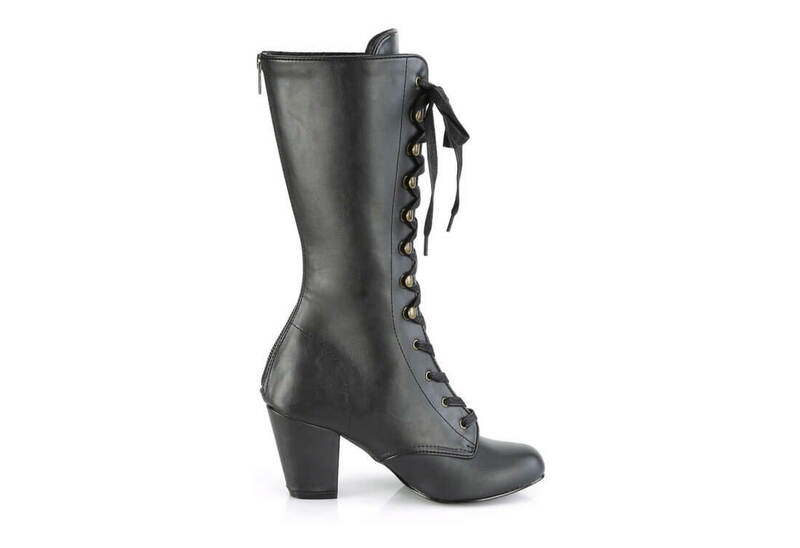 Black vegan mid-calf leather boots with a 3 inch block heel. 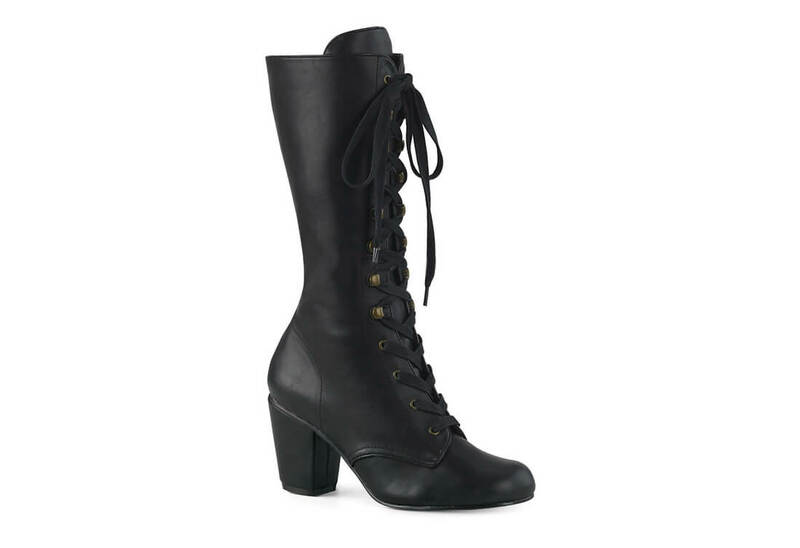 The Vivika has a lace-up front with brass colored eyelets and speed lace eyelets. 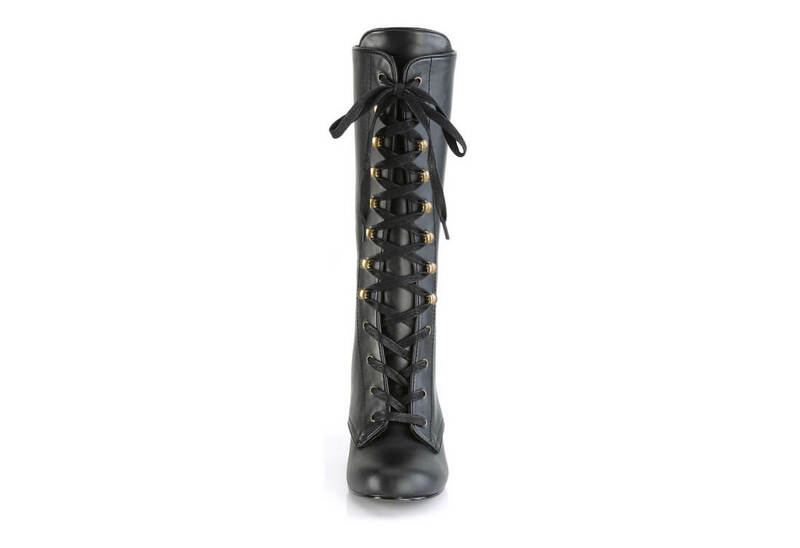 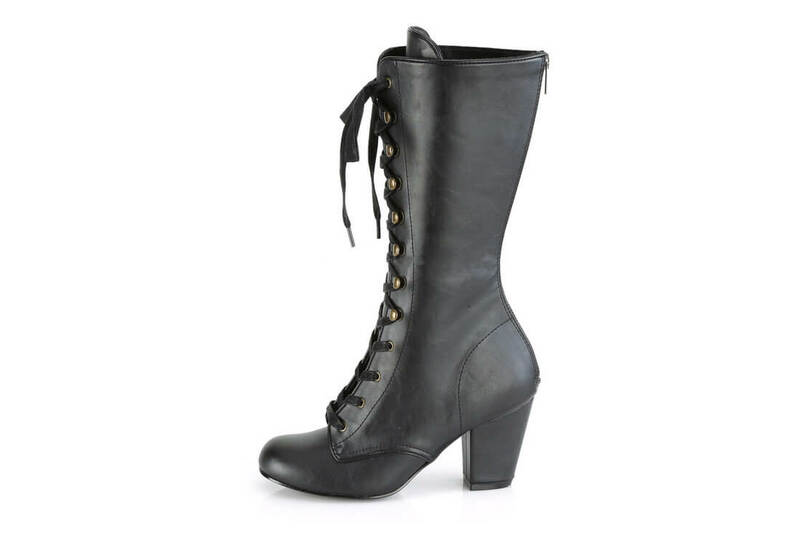 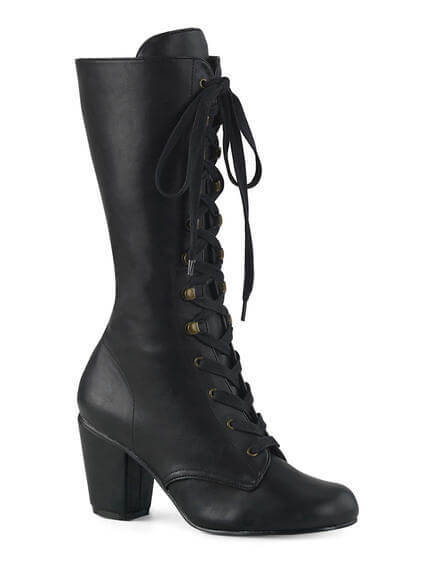 Perfect for Steampunk attire or as an everyday dress boot.